At least this platform is open…. The world needs more open platforms. The term is loaded, but it’s worth unpacking. To me, an open platform is a consistent opportunity space where anyone – without prior permission – can attempt to create value, and the market gets to vote on that attempt. When the Clinton administration declared the Internet a “free trade zone” in 1997, it helped create one of the most powerful open platforms in the history of business. Anyone could set up a website, sell their services, wares, or their snake oil, and the market sorted out the winners and the losers. But an open platform doesn’t necessarily mean a free one. The last time I checked, Comcast is still charging me $65 a month for my “high-speed business” Internet connection. Once I pay that fee, I am free to launch any site I want and consume any content I desire. Comcast has no say in the matter (so far). Another wonderful example is the Global Positioning System (GPS), once the realm only of the United States military, but now the driver of countless commercial opportunities around the globe (again thanks to decisions made during the Clinton administration). Anyone can access civilian GPS data – it’s open and free to all. Had this system not been in place, my weekend would have been less interesting – I could not have tracked my family’s hike across a mountain in Marin, checked into my writing retreat this morning on Foursquare, or effortlessly mapped my route to the new restaurant where I met a dozen friends last Saturday night. Over the years we’ve seen the rise of semi-open communications-driven platforms, some of which have been built on top of the Internet (think Facebook), others which were built on top of regulated, oligarchical networks like those of the cell phone carriers (think iOS ). These systems are open to developers, but subject to stricter rules and oversight by corporations (Facebook and Apple, for example). But sometimes platforms rise out of unexpected places. That’s the story I want to tell today. This tale is based on an open platform of sorts – or at least, re-imagining an existing platform. In this case, that platform is the home – and in particular, the wifi-enabled home. A report issued earlier this year found that 25% of homes worldwide have wifi installed. In the US, that figure is much higher – 61% of US homes are lit by the airborne Internet. That’s a pretty astonishing number, and it continues to climb. Wifi-lit homes are now a platform waiting for innovative ideas to hatch. Last week I got a chance to chat with someone behind one of them. Kevin Ashton is best known as an RFID pioneer, and for coining the terms “The Internet of Things.” But what many may not know about the British-born engineer and entrepreneur is his current work on home automation. Two years ago he sold his cleantech startup Zensi to Belkin International, a 30-year old computer networking and accessory firm in Los Angeles. Belkin’s a pretty traditional company, to be honest, but that may be about to change. Zensi specialized in monitoring a building’s electrical information, tapping into the structure’s electronic grid and sampling the “voltage noise” that spikes across the wires. That noise turns out to be pretty valuable information – every electronic gadget has a signature, and by paying close attention, Ashton’s startup could reliably determine the energy use of every node node on a building’s electronic network. That energy “can be presented to the energy user in a way that can be very beneficial,” Ashton told me. Ashton’s first customers wanted some pretty simple data. “Nothing more than knowing the total energy consumed in the building,” he says. But Ashton knew a lot more could be done with the information, if he could just open the platform up a bit, and instrument it with a few more useful appendages. That’s what he and his team have been up to over the past two years at Belkin. 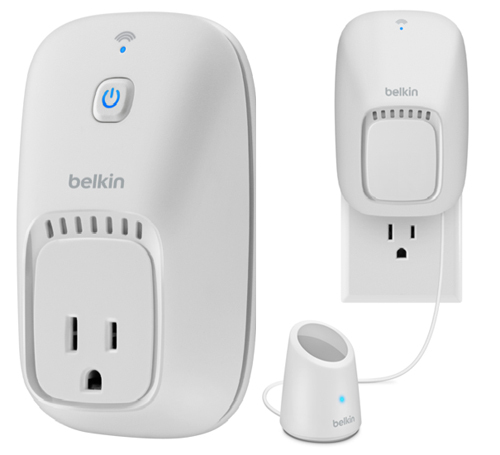 This past summer Belkin introduced WeMo, a home automation system that plugs into any outlet and allows you to control electronic devices over the Internet. The system consists of a plug, a motion sensor, and an iOS app. It’s pretty rudimentary – you plug any device you want to control into the WeMo outlet, and that device becomes controllable via the iOS app. But add in the motion sensor and you combine the ability to turn things on and off based on the ability to “know” some action has occurred. That’s when things get interesting. Now portions of your home have remote eyes and hands, in a limited sense. WeMo’s sensors can “see” motion and “act” on what they see by turning things off and on. Belkin’s promotional site for WeMo shows all kinds of uses for the system: keeping your dog off the couch while you are at work, easing your mind about whether or not you turned off that curling iron before leaving the house, automating when heaters or lights are turned off and on, etc. It’s all very cool, but it suffers from the same problem that plagues all early platforms: Early adopters and hackers love the system, but most consumers aren’t going to go to the trouble of buying, coding, and installing the Wemo system just so they can turn the lights off and on, or ease their mind about an errant curling iron. What WeMo needed was the power of an open platform, and a community that could come up with uses for the device that the company never imagined. IFTT is a small but thriving community of tens of thousands of folks weaving new kinds of connections between our digitally disparate lives, and Ashton’s team figured tapping into this group might provide Belkin with some novel ideas for WeMo. They were right. There are nearly 200 WeMo recipes on the IFTT site, ranging from “Text me if my door opens!” to “Post a Facebook status message anytime someone reaches for the cookie jar.” But the one that really got Ashton’s attention is this: “Tell me when it’s time to clean up the litter box.” It’s one of WeMo’s most-used recipes (and it turns out, it did come from within his team, but not until the IFTT connection was established). 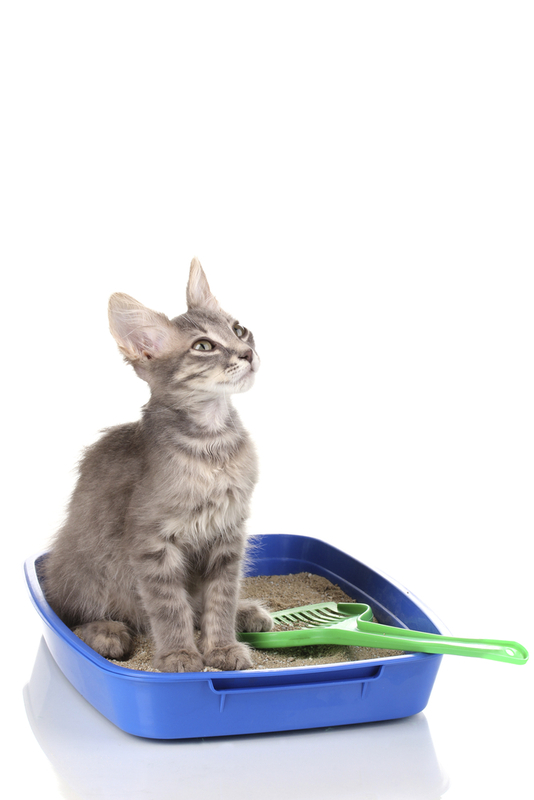 At the moment, the number of people who have employed the kitty litter recipe can be counted in the dozens. But that’s a function of WeMo’s total installed base, which is still small. That base will likely remain small until a few inter-related things change: First, WeMo-like sensing needs to get cheaper and more accessible. For now, fitting out your house with a full complement of WeMo devices runs upwards of $1000, and the devices are used mostly by a small group of motivated hobbyists (not unlike 3D printing or the Arduino platform). But if sensing devices are built into electrical outlets as a matter of course, and/or are easily retrofitted into existing homes, the presumption that your home is “smart” could tip in a matter of years. Also, consumers must begin to expect WeMo-like functionality from their homes and devices. The kitty litter recipe is a small but leading indicator of such a shift. Ashton tells me, for example, that he already has inquiries from pet lovers about promoting WeMo – just for its role in helping humans take care of their cats. As the number of hacker-driven recipes for WeMo uses multiplies and device prices and ease of installation diminish, the home sensing revolution could be right around the corner. Thirdly, the platform wants more data – the more, the better. Imagine if WeMo also had access to all that energy sensing data built into Zensi’s original products. Because the Zensi technology “knows” the signiature of every electrical device on the home network, it “knows” when you’re watching TV, or using the microwave, working at your computer, or firing up the oven. Making all that data “knowable” opens all manner of innovative applications, again, most of which Belkin alone couldn’t dream up all by itself. But if all this is to happen, it’s critical that access to home automation devices and data remain on an open platform, where innovation can occur unimpeded by conflicting commercial or regulatory imperatives. At the moment, anyone can create a recipe for WeMo, without Belkin’s approval. Ashton says he’s committed to that philosophy – one that he hopes informs far larger issues than curling irons and kitty poop. “We are open to anything that adds value to the system for our users,” Ashton told me. It wasn’t a natural act for Belkin to open up the WeMo platform. The company’s CEO has run the company for 30 years, and has never done anything like the IFTT experiment. He took a risk by allowing Ashton’s team to create an API. It’s not a bet the company move, but Ashton believes it augurs a larger change happening across many industries. (GE, for example, is embracing this idea, as are IBM and many other large companies). All this reminds me of a book I recently finished – Steven Johnson’s Future Perfect: The Case For Progress In A Networked Age. I’ll be reviewing that work shortly, but Johnson’s point is simple: if we are to solve our largest societal problems, we need to take a more peer-driven, open-platform approach to business, politics, and culture. With WeMo, Belkin’s taken one small step in that direction. I expect many more will follow. Amazon, Apple, Facebook, and Google have all figured out ways to do this. It’s the biggest reason for their collective success. Agreed, though I don’t think they’ve done it in a way that allows for full innovation to occur…yet. “Full” is a relative term though. I’m still impressed. When a clown like me has an app for iOS, they’re doing something right. Anyone can have a web page…. The leaders at these companies understand that complacency is a killer. Larry and Sergey don’t want to wind up like Microsoft. Plus may not supplant Facebook anytime soon, but what if I had go off of the Google platform to be social? I may not come back. Next Next post: Craig Mod on Subcompact Publishing.